Prior to commencing at the Rural Clinical School, Remo worked at the Healthy Communities Research Centre at UQ’s former Ipswich Campus and with the West Moreton-Oxley Medicare Local. 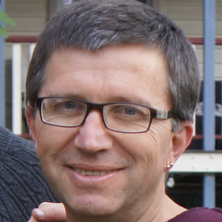 At HCRC he maintained a workplace health screening database for the Ipswich Hospital Foundation, investigated healthy spaces for the Ipswich City Council (using GIS), and developed an ongoing program of research in health literacy, which included research on health literacy in community pharmacy settings and the relationship between health literacy and medication adherence. Remo helped WMOML with their population health planning, including work on a comprehensive needs assessment for the West Moreton and South-West Brisbane region and a population health profile for the West Moreton and Darling Downs region. In addition to these activities he has continued developing and validating measures of people’s health attributes and behaviours. This includes the development of an international measure of HPV knowledge, comparison of three pain measures used in RACFs, and the validation of measures of chronic illness care and diabetes-dependent quality of life. A tool to measure Human Papilloma Virus knowledge, that I worked on with a team from University College London, the University of Indiana and the University of Sydney, has been transalted into Portuguese and French and has been used by researchers in Canada, the United States and Brasil. The Queensland Times published an article by Brian Bennion (17 September, 2014) on the launch of West Moreton-Oxley Medicare Local's Comprehensive Needs Assessment. This was a document that I produced with Luke Passfield. The WMOML CNA was also mentioned in Hansard (23 October, 2014) during a speech by the Federal Member for Blair, Shayne Newman, on the work being done by the Medicare Local in his electorate. My early work on the psychology of morality resulted in two newspaper interviews. The Queensland Times (Ipswich) interviewed me on June 16, 2006 for an article, Life in the Fast Lane, on the moral thinking of drivers who fail to wear seat belts or restrain their children safely. On September 24, 2004, the Courier Mail (Brisbane) interviewed me for feature article by Michael Corkill, Why Didn’t You Stop? on the moral thinking of hit and run drivers. Journal Article: Medical student contact with specialty trainees: missing out in general practice? Handbook of polytomous item response theory models. Edited by Michael L. Nering and Remo Ostini New York: Routledge, Taylor & Francis Group, 2010. Glargine prescribing practices for Type 2 diabetes: Is there room for improvement? Attitudes to a proposal for controlled availability of heroin in Australia: Is it time for a trial? Controlled heroin availability in Australia? How and to what end? Glargine insulin prescribing practices for Type 2 diabetes: Is there room for improvement?